The gateways to wonder and delight are flung open wide for all to enter. 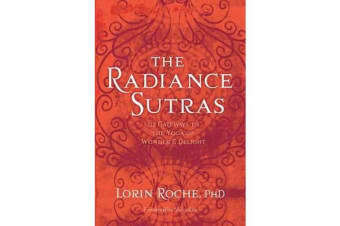 At once a beautiful love song and an encyclopedia of yogic techniques, the cherished text known as the Vijnana Bhairava Tantra shimmers with new effulgence in Lorin Roche’s The Radiance Sutras. Lorin brings us his unique perspective on each of 112 Sanskrit teachings, along with his one-of-a-kind guidance in how to meditate with, embody, and practice them what he describes as “answering the call of the sutras you love.